No matter the state of the national economy, political climate, or the price of beans in Uganda, Scottsdale, Arizona remains a coveted relocation address. Official population estimates put our grown-up resort town at 237,000+ residents and climbing (as of 2015). For those of you keeping score back in Delaware, that’s a 10% increase from the year 2000, even with the uneasy Real Estate market that spanned the latter half of that decade. Not too shabby for a town whose 1951 origins boasted a total population of two thousand hardy pioneers! So what exactly is it that keeps this one-way conveyor belt moving? 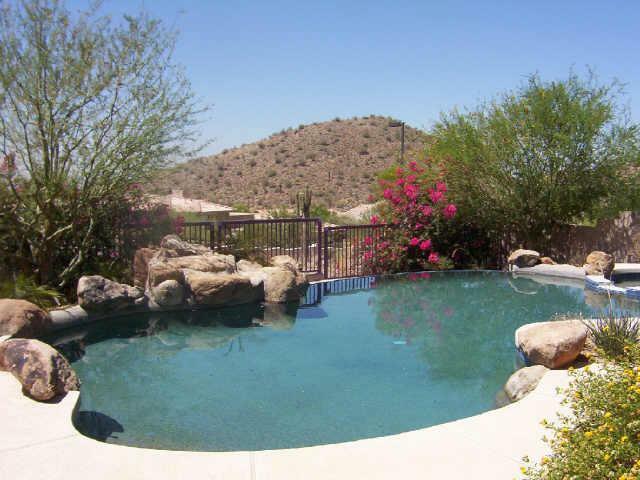 What intrinsic value of the Arizona lifestyle keeps folks coming in droves to the Valley of the Sun? Why does the city still nostalgically known as “The West’s Most Western Town” continue to add labels, such as the nation‘s “Most Livable City,” and find inclusion amongst various new best-of lists, such as the “Top 100 Cities for Young People,” (1) with each passing year? Young people? In Arizona? Bet you didn’t see that coming! 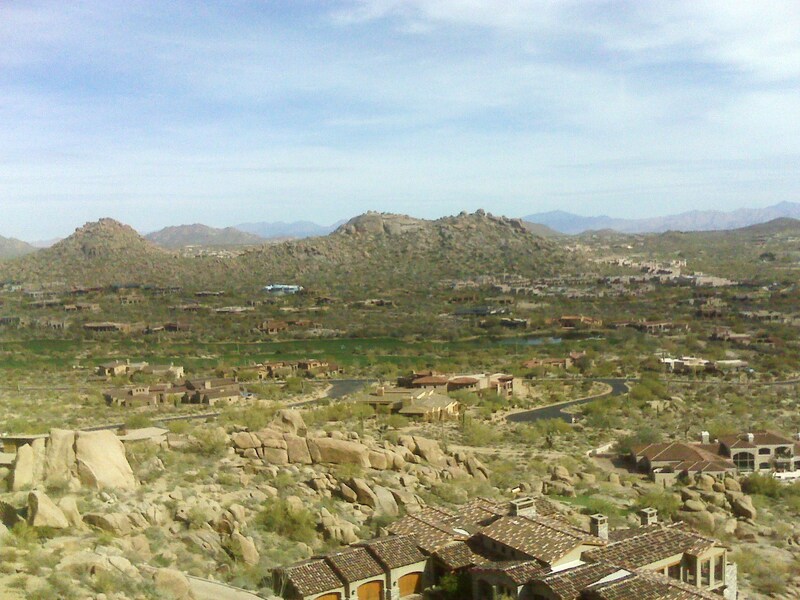 Let’s examine why exactly Scottsdale might appeal to people of all walks of life. Is it the 314 days of deep blue skies and sunshine? A horizon so boundless that the occasional passing cloud is quickly chased away like a stray tumbleweed through the Sonoran Desert? The average high temperatures of 85 degrees, and a scant 7 & a half inches of annual rainfall? Where the only ice you will find in December lies inside a cocktail glass? Is it the Scottsdale Unified School District, which routinely ranks atop the state in performance and outpaces local and national averages by a wide margin in critical categories such as SAT and ACT scoring? 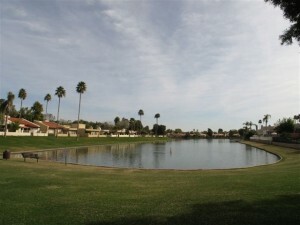 Which boasts an off the charts percentage of schools categorized as “excelling?” With 50% of the adult populace holding a bachelor’s degree or higher (which likewise outdistances the state and national averages by a wide margin), education has always been a top priority to the citizenry of Scottsdale. Surely the robust school system is the reason an out of towner looks to Scottsdale with a longing eye? Could it be the vibrant nightlife and fine dining that boasts an inordinate amount of upscale eating establishments, wine bars and the like? Where you can’t fall down without landing on the finest Fillet Mignon or Prickly Pear Margarita you have ever tasted? The more than 125 art galleries which make Scottsdale a bastion of high culture? Is it Taliesin West, the former winter home and school of renowned architect Frank Lloyd Wright which lives on as a popular tourist destination? Is it the golf? 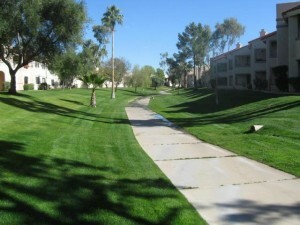 The more than 40 courses which can be found within Scottsdale‘s city limits alone? From Par 3 executive courses to PGA venues, there is something for every skill level. You are moving to Scottsdale, Arizona. It simply must be for the golf. Right? Is it the strong local economy? The one with the ultra low unemployment figures and strong income levels (median family income of $85,000+ per 2009 estimates)? The one powered by tourism (39% of city workforce), convention revenue, 2nd home buyers, strong aviation industry presence centered around the Scottsdale Airpark, medical field stalwarts such as Scottsdale Healthcare (largest private employer with nearly 6700 employees), the Mayo Clinic (2nd largest private employer in Scottsdale with nearly 5000 employees), etc? Notable businesses include the Fortune 500 company, Allied Waste, as well as Rural Metro (private fire protection), Go Daddy, General Dynamics, Dial Corporation, Cold Stone Creamery and TASER International. So, is it the allure of a healthy job market for a highly skilled workforce that makes Scottsdale Real Estate so historically vibrant? Or how about the shopping? The spender’s paradise which boasts Kierland Commons, Fashion Square Mall, The Promenade, Old Town, Gainey Village and The Borgata, just to name a few? Where you will find that perfect something that you can’t live without in every shop? As synonymous as Scottsdale has become with retail therapy, it has to be the shopping, right? Perhaps it’s the unbelievable location and access to the rest of the Valley? Minutes from Sky Harbor International Airport, Scottsdale is connected to the rest of the greater Phoenix area by freeway. Bisected by the Loop 101, previously distant reaches of the Valley such as Chandler/Mesa/Gilbert to the south and Glendale/Peoria to the west are now readily accessible. 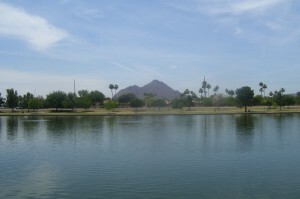 Could the prime central location be the reason for Scottsdale’s popularity? Wait, it has to be the resorts, right? 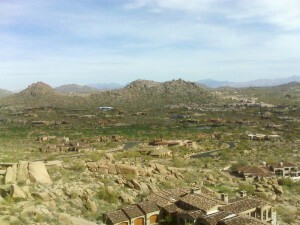 After all, our well-earned reputation as a resort town is what first put Scottsdale on the national map. 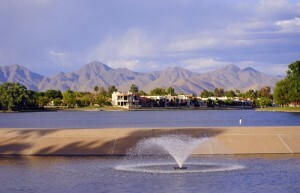 With over 70 resorts and hotels, half of the Valley’s resorts are located in Scottsdale. Might the lure of an afternoon at the Hyatt Regency’s pool or the Westin Kierland’s spa be the source of enticement? Maybe afternoon tea and relaxation at The Phoenician, or reaching out to touch the mountains at The Four Seasons in Troon? How about the immediate access to escape from the daily grind? The ability to trade the heat of a July day for an afternoon in the high mountains with only an hour and a half’s drive north as payment? Or to dip toes in the Pacific Ocean by making the 6 hour drive to San Diego? Heck, less distance than that puts a traveler on a lazy beach in Rocky Point, Mexico. Is it the convenient getaway capacity that attracts all of these new Scottsdale residents? These are all very strong contenders for the title of most alluring, but I think it boils down to something far more simple, yet somewhat indescribable. 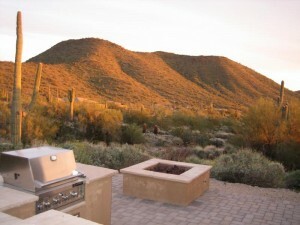 Most people move to Scottsdale, Arizona for the very reasons that I have never left. Those reasons are hard to express with words. 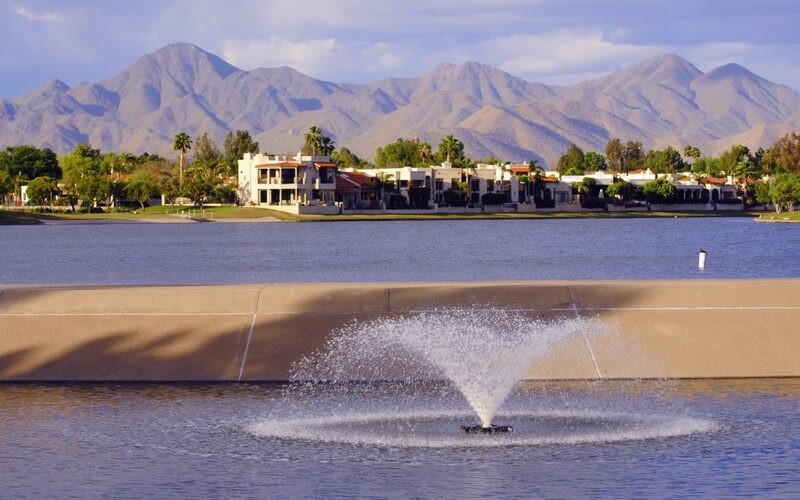 Less a physical place than a state of mind, Scottsdale is that internal intersection where an unencumbered side street of your soul meets the thoroughfare of refined, modern living. 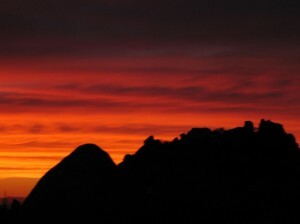 The desert Southwest stirs something ancient and irresistible within the romantic ventricles of even the most hardened heart. 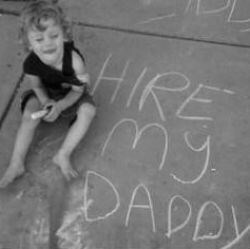 Lacking the eloquence to due her justice with my pen (or keyboard, as it were) alone, I yield to pixels. The images below should provide greater insight as to why this native son still calls Scottsdale, Arizona home after all these years. 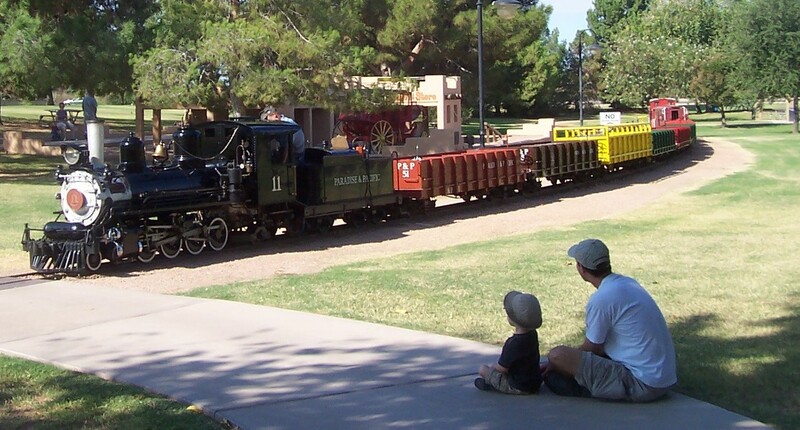 Ready to Start Your Own Scottsdale Adventure? Let the Scottsdale Property Shop be your relocation guide. Follow the links below to all things Scottsdale.